Via-Duck : Quarterly Newsletter of The Groucho Club. 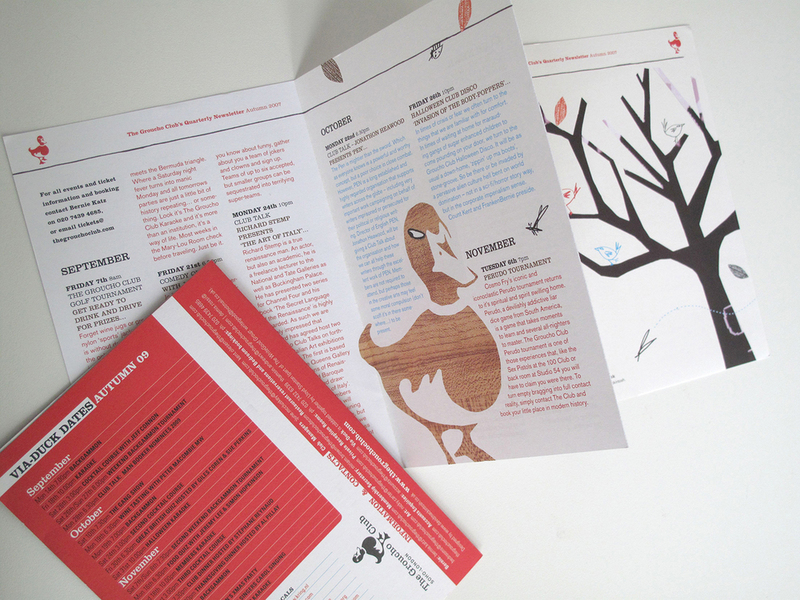 Design and typographic revamp of the Club newsletter. Featuring the work of one visual artist and Club member for each edition. Groucho Club art consultant: Nicky Carter.